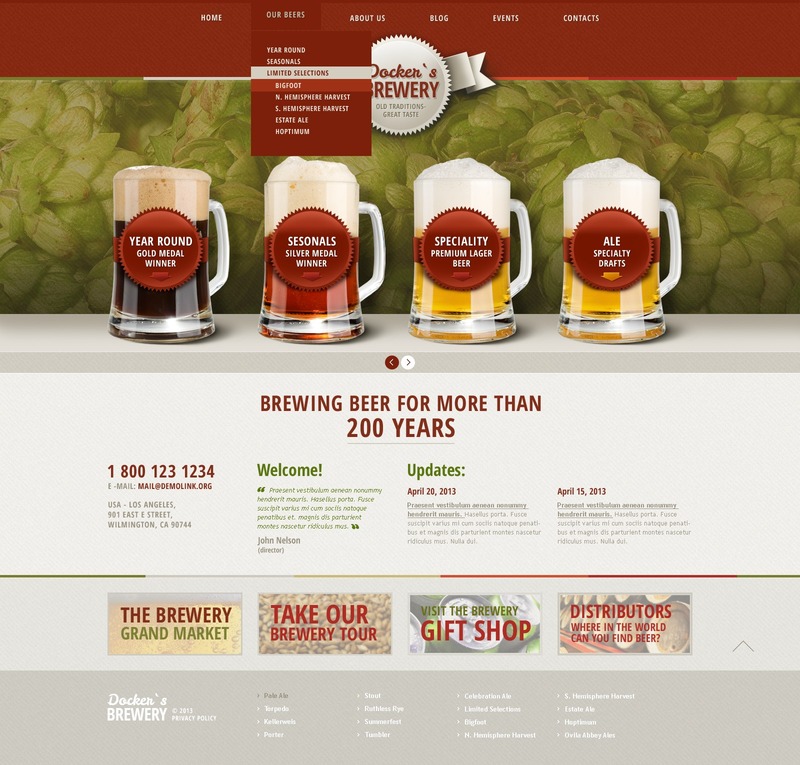 Show people the yummy design of your brewery site, so they can't stay the temptation and become your clients. This theme looks pleasing to eye due to its saturated red and hop-like green colors that create strong desire to taste this beverage. The creative solution to show the messages on the mugs in the slider attracts more interest. HTML plus JS animation, audio player and video integration enlivens the information making it more interesting for perception. Sappy design for your great products.